Everyone has the right to quality health services. It is our mission to protect this right for those who are unable to look after themselves due to developmental disabilities. We are proud to provide services for the developmentally disabled. 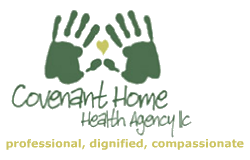 Covenant Home Health Care Agency LLC offers guidance and help to families who must negotiate the complicated bureaucracy that provide programs and support to the developmentally disabled. Our staff will work to see that our clients and their families have an enhanced quality of life. Respite care of homemaker/personal care services are available to help families stay together at home. Covenant Home Health Agency LLC strives to meet the needs of our clients based on their developmental and /or cognitive abilities. Call us for an evaluation of your circumstances and a plan for care. We can be reached at 614-522-0521.